Will There Be a FALSE Ascension Attempt? As anyone who has given “ascension” or the dimensional shift any depth of contemplation knows, the whole phenom and all its possible trajectories overwhelm to the point of distraction. I’ve been feeling strikingly “unglued” over the past week or two, as tho my corporeal form—and the mind theoretically at the helm of this 3D human aspect—are barely holding together. I can feel overwhelming anxiety coupled with nausea for several hours… followed by the odd sense that my very cells are drifting apart. And, repeat. None of which meshes well with tasks like writing, editing, or balancing checkbooks, let me tell ya. It all seems so on the drift! No one mentioned there’s a drift to this shift. Whether my current experience is about expansion… or dismemberment of the old, or even, ultimately, disintegration of the carbon-based form, I don’t know. I do know it’s distracting, and I’ve heard no one else reporting these particular sensations. (Now today: migraine too for good measure.) If you are experiencing anything truly odd lately, I’d love to hear from you! I share, as usual, to present a possibility, outrageous as it might seem (you’ll know what I’m referring to further down). For your discernment and personal truth. The fact that In5D “billed” the anonymous woman as an “insider” kind of chafed me right off, so I changed the header below. She had an experience. Comment from Ines: I found this article to be fascinating to say the least as I have also written about the transformation being a beautiful flash of light and our bodies changing during that time. ::: I hardly know what to say here (there, or anywhere) anymore. The state of things is so beyond bizarre… it’s becoming harder to comment on; it’s like an epic blur. In some ways this blur might be deliberate, from the perspective of the generators of this ruse. If they keep the consciousness of the masses in a state of perpetual “spin cycle,” focus and clarity becomes next to impossible for the individual. Humanity is currently in a state of endless distraction, skewed heavily towards generating chronic anxiety and fear. This is exactly the state of mind that’s receptive to being controlled by others. This “takeover” of the mass consciousness is primarily unconscious on the part of the controlled, but it is solidly THERE, and those who are driving this routine are masterful at perpetuating it by keeping us preoccupied with so many distractions – be they via mind candy or horrifying events – that most people are clueless as to their “puppet status” in its grip. While we don’t bother to master our own WILL centers, we leave ourselves open to manipulation by others who are willful masters – dark ones. I still endeavor to maintain the notion that this is a time of sublime chaos, meaning, it’s ultimately of high spiritual, moral, or intellectual worth! But we must be aware of the game board and our roles as pawns on it, as it really isn’t OUR game board to begin with. It’s a buffet that serves up the energies we emanate—usually sloppily—in servitude to others. Unconsciously we let this continue, while our own higher guidance and power of will turn a blind eye. As I shared years ago, I “saw” humanity becoming swept into an intense & disorienting chaos that would ultimately result in our mandatory adaptation to living in kairos. “From Chaos to Kairos” became my optimistic mantra. By “kairos” I’m referring to the impending transition from “kronos” – Greek for linear (tick-tock) time – to existing in a field of “unfolding NOW potentialities,” manifesting into “reality” on the fly, or in the flow, driven by whatever energies/ideas/thought-forms/emotions happen to be dominating that particular unfolding moment. 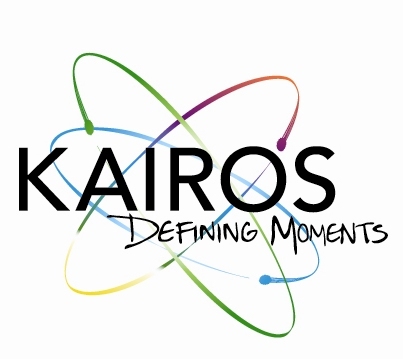 Kairos = living in flow in the ultimate sense. It is ALL about synchronicity, ie, events being drawn in (individually and/or collectively) by resonance; magnetic attraction. Every moment essentially sets up the following one, and consciousness defines the parameters of the moment. Just because something is unpleasant doesn’t mean ‘flow’ is absent; it means an unpleasant situation is dominating the field of consciousness (aka the noosphere) at the time, so something ‘unwanted’ (but energized) is flowing in, or through, at that moment. For instance: we don’t want violence, but violence happens. Perhaps we are so focused on “violence” that the “not wanting” of it keeps its energy strong, regardless. Consider the semantics of “anti war” vs “pro peace,” for instance. 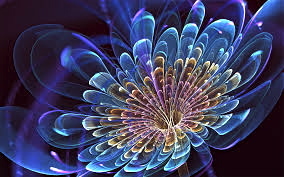 The first keeps WAR conceptually energized in the quantum field, whereas the second is about PEACE. The way we language things is of paramount importance! It helps to keep in mind that “quantum physics” is ALL about consciousness not only influencing but creating what we see and experience. 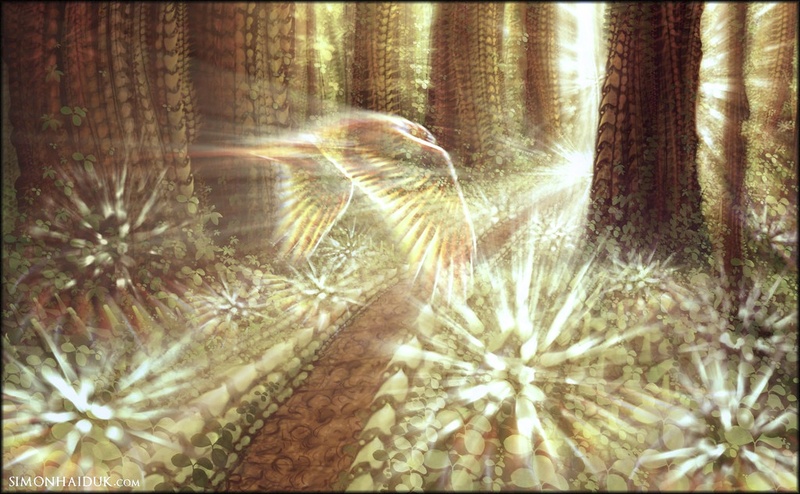 Awakened kundalini (in my case at least) provided windows into certain perceptions that did not foresee only love and luminosity ahead, as so many ‘channels’ were putting forth. Now, I was experiencing my personal “dismemberment” of the former self as well, in sort of a microcosmic form of what was to come en masse. This likely influenced my overall perception of the big picture, as my own journey has had a lot of frankly frightening intensity that I could only surrender to. I understood that *I* had a lot of reconciling of old karmic scata (another Greek word ;) to deal with… followed by the awareness that, well, it wasn’t all about me! I was certainly experiencing something extraordinary personally… but this was just my corner of the big iceberg. I have to say, tho, that I did not see this period yawning on & on over years & years the way it has been. I thought it would all “click in” much quicker, like the tumblers of a cosmic safe unlocking, allowing us at long last access to the gifts of an awakened humanity in an ascended world. I also had no idea the extent to which this world (this reality system) was corrupt, nor did I understand the source(s) of this corruption, and how farrrr they hooked into the human experience, historically and cosmically. Moreover, I hadn’t the vaguest idea how my personal “trails through time” played into this epic story. I’ve been getting glimpses of this in recent months, and to say it’s been a LOT to assimilate would be the understatement of a lifetime! And: I’m only just getting started in this regard. My aim is to be encouraging; inspiring, if possible. At the very least I endeavor to bring something to your attention that might cause an expansion in how you perceive reality, as it is NOT what we’ve been indoctrinated by religion, education, and media to believe. There is so much to this macrocosmic scenario, our itty human parameters MUST be stretched to not only “get it,” but navigate wisely within it in the near future. What’s happening now is so beyond the parameters of what we’ve known – of what we’ve BEEN – words fail to prepare us. Only the full immersion experience itself will mentor us. Meanwhile, we must carry on, regardless – glowing! – shining! – as much as possible. Everywhere I turn, I see people not thriving. Of course, some ARE! It seems those who’ve been stable and highly functioning all along are continuing to do so. They are still “on track.” At least, until it all “hits the fan,” at which point we shall see. But what I’m mostly aware of is people in dire straits. 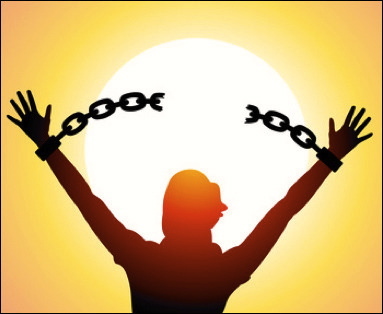 Numerous “celebrity way-showers” of 20-ish to 10-ish years ago – whose newsletters and videos were like life supports to many experiencers “in the trenches” (ie, kundalini, or ascension 1st-wavers, or contactees with other realms & entities) are now impoverished, homeless, disowned by families and friends, and maybe worst of all, feeling abandoned by life itself. Or they’ve died. All they’ve been through; all they’ve shared with us; all the time and energy they invested in helping prepare all who followed for what is coming… brings them to these desolated outcomes? 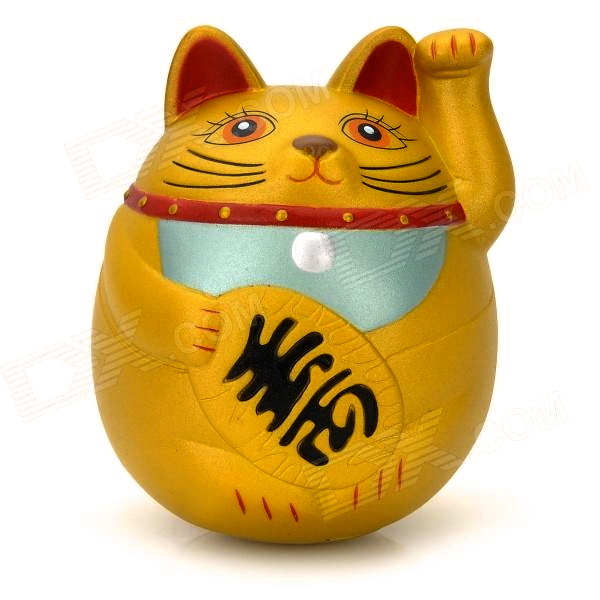 Virtually “worshipped” by throngs one day, then pfft – out with the trash. As for me – it has indeed been rough. I know there are people around me who just can’t imagine what my “problem” is. I often wonder myself, as my particular experiences have been truly extraordinary. Then suddenly *something* so seemingly beyond earthly possibility happened, leaving me … here … wherever here is. What I’m “on about” today may not be making sense to you. I feel as tho I’ve been in an accelerated course of broader insight, where (among other things) I realize every single soul is in a reality bubble all their own (every mind has developed its own world view and role in it) and typically don’t relate to others’ POV and lives in general. A fine stew of interpersonal fragmentation. Where will it lead us? 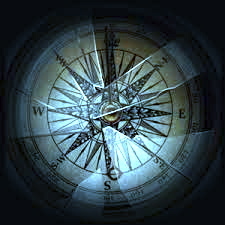 It can be so very helpful to remember the COMPASS in (or of) COMPASSION. No: we don’t understand “him/her/them/it.” No: we can’t imagine seeing or doing something the way “they” have. No: they are so screwed up; why can’t they see the damage they’re doing!? 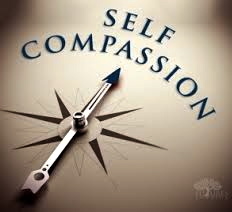 We can (and do) repeat these judgmental recordings over and over, but lately I’ve been practicing aligning my compass with compassion, and it’s nice, so I invite you to try the same. Judging is tiring. Compassion is enlivening. Compassion seems to lighten the load of negativity and lift one’s spirits. You know you’re tracking higher frequencies – even when someone’s behaviors or beliefs appall you to the nth degree – when you can reel in the auto-reaction and place the entire situation (the person, the behavior, the victims of it, etc) into a softly illuminated ball of compassion. Like forgiveness, compassion works both ways. We live in a quantum system of ‘reflection.’ Next time you throw daggers of judgment at someone, try putting a mirror in front of you, in place of your projections onto them. THEN practice generating your compassion. Maybe instead of throwing those daggers, toss flowers of acceptance at yourself. Harsh judgment typically germinates in one’s own woundedness. Your monetary contribution would be so very appreciated and helpful. 9-minute clip of the upcoming film, Samadhi. I look forward to seeing/experiencing more of this film when it’s released. In the spirit of the ancient teachings, “Samadhi” will be released for free for the benefit of all beings in the fall/winter of 2015. Sleeping Giants in Stasis in Underground Chambers? 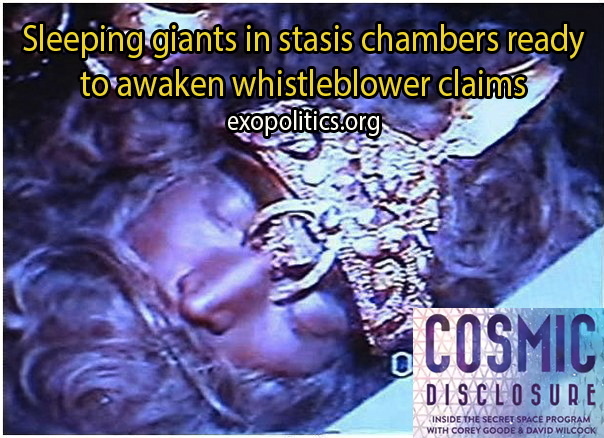 In the latest Cosmic Disclosure episode on Gaiam TV, Corey Goode makes some startling claims about sleeping giants located in stasis chambers hidden all around the world.